ST.PETERSBURG, May 25. /TASS/. Russia rejects the allegations that it was involved in the flight MH17 crash in Ukraine and mistrusts the conclusions drawn by the Dutch-led Joint Investigation Team since Moscow had not been invited to participate in the probe, Kremlin Spokesman Dmitry Peskov told reporters on Friday. "I want to repeat the president’s words to you - the investigation was carried out in the Netherlands, this investigation team did not include the Russian side, though the Ukrainian side was represented," Peskov pointed out. "Certainly, without having the possibility to be a full-fledged party, Russia does not know to what degree the conclusions of this endeavor can be trusted," he noted. Moscow had shown its willingness to provide all the necessary assistance to identify those behind this tragedy, the spokesman stressed. The Kremlin spokesman recalled that Ukraine had not taken the necessary steps to close its airspace despite the fighting, which was conducted on its territory. "These are two basic elements, which President Putin mentioned yesterday." In commenting on whether this mistrust means that Russia fully rejects all the accusations against it, he said: "Certainly." 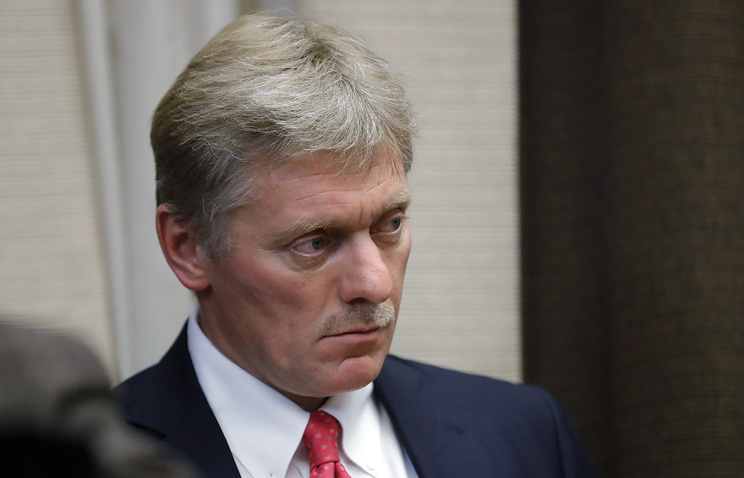 Peskov refused to comment on technical details mentioned in the Dutch investigators’ report. The document says in October 2014 the JIT already asked the Russian authorities to provide it with all information that may be important for establishing the truth. However, Moscow did not report to the JIT that the 53rd Brigade had been deployed in eastern Ukraine, it said. "I can only say that there is mutual mistrust, and I cannot tell you more as I don’t have technical information," he said. 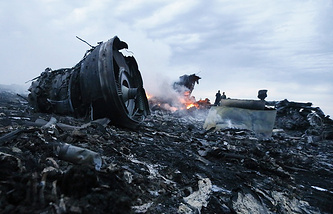 On the basis of the JIT’s conclusions, The Netherlands and Australia have officially accused Russia of its alleged involvement in the 2014 flight MH17 crash in Ukraine and plan to hold Moscow responsible. On Thursday, the Joint Investigation Team, consisting of representatives of Australia, Belgium, Malaysia, the Netherlands and Ukraine, released its update in criminal investigation of flight MH17 crash. According to the JIT, "the BUK-TELAR that was used to down MH17, originates from the 53rd Anti Aircraft Missile brigade (hereinafter 53rd brigade), a unit of the Russian army from Kursk in the Russian Federation." Russia’s Defense Ministry rejected all the accusations saying that none of the Russian Army’s air defense missile systems had ever crossed the border between Russia and Ukraine. The ministry also said that Russia provided the Dutch investigators with overwhelming evidence clearly pointing to the complicity of Ukrainian crews of Buk missile systems in destroying the Boeing airliner.